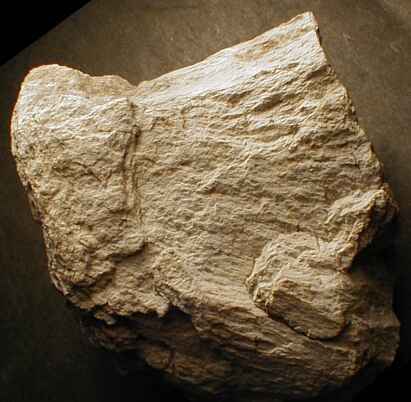 The sedimentary target consisted of Jurassic limestones, marlstones, sandstones and claystones which contribute to the megabreccia of the central uplift and to a polymictic breccia in the basin. Because of this relatively monotonous sedimentary geology there are only little variable impact rocks that are mainly represented by this polymictic breccia (Fig. 1). Fig.1. Sawed drill core of the polymictic basin breccia from the Steinheim impact crater. Moderate microscopic shock metamorphism has been described to occur in Dogger sandstones. A well known macroscopic shock effect are the nice shatter cones (Fig. 2), which were described in the literature as early as 1905. 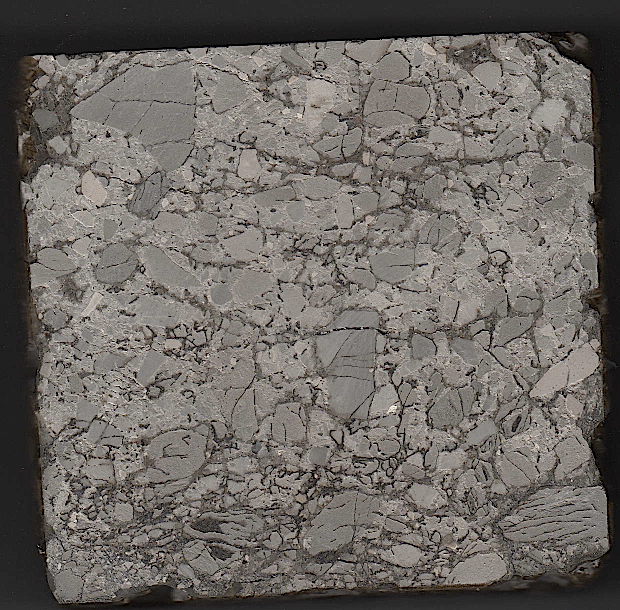 A distinct closely spaced subparallel fracturing of limestones (Fig. 3) has also been ascribed to shock (Reiff 1979). Fig. 2. 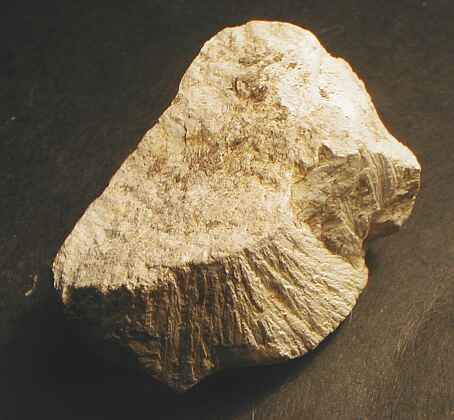 Shatter cone in Malmian limestone; 6 cm maximum size. Upon clicking here, more shatter cones from the Steinheim impact crater can been seen. Fig. 3. Closely spaced subparallel fracturing in Malmian limestone. 10 cm horizontal maximum size.